Ball Corporation will cease production at its Birmingham, Alabama, Chatsworth, California, and Longview, Texas, beverage packaging plants in 2018. Existing customers will be supplied by other Ball facilities. Ball will also build a beverage packaging facility in Goodyear, Arizona, which is expected to begin production in the second quarter of 2018 and will serve demand for specialty cans in the southwestern U.S.
Ball will record a total after-tax charge of approximately US$22 million, primarily for employee severance, pensions and other benefits, facility shutdown costs, and asset impairment and disposal costs, for the closure of Birmingham, Chatsworth and Longview. The majority of the charge is expected to be recorded during the third quarter of 2017. The company expects to achieve approximately $50 million of annualized net fixed cost savings in late 2018 and beyond, which contributes to the $300 million plus acquisition synergies expected to be delivered by the end of 2019. The Birmingham plant, which opened in 1952, employs 91 people and produces beverage can ends, is expected to cease production by the end of the second quarter 2018. 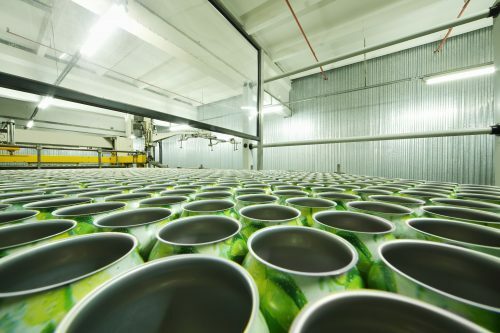 The Chatsworth plant, which opened in 1975, employs 118 people and produces beverage cans in multiple sizes, including standard 12-ounce cans, is expected to cease production by the end of the third quarter 2018. The Longview plant, which opened in 1972, employs 100 people and produces cans in two sizes, is expected to cease production by the end of the second quarter 2018. All closure dates are subject to customer needs.